Is optimism a position of privilege? On my long list of articles I need to finish has been a response to a comment by Alder about position of privilege in response to the Self-definition Fairy. After a million contacts with PRD in the past 8 years, I’d say most probably go online because they do not have an adequate support system yet. As for me, I’ve never had much of a support system. Many church folk and neighbors rejected me when I was diagnosed (Alder should really read those posts btw). I struggle with being able to talk to family members or friends about my needs because I don’t think they can understand. My greatest support was my kids who are apart from me now, especially my daughters who are thousands of miles away. Some PRD do have spouses or parents to help care for them. I try not to resent that they have what I don’t. Want to read more about attitude and living with RD? As for me, I was work-disabled overnight 10 years ago. For almost 2 years, I’ve been homeless, living out of a suitcase, staying with generous friends. Whatever I’ve been through, I decided years ago that I would rather define myself than let my circumstances define me. This is particularly difficult with the abuse that I’ve endured, and with losing physical abilities overnight with a disease like RD. But that also makes it particularly important. If I let either of those horrendous things define me, there might be nothing left of me. There would be nothing left of the funny, kind person God made me. So I fight to keep her. RD is not a blessing. That’s a no brainer. But circumstances are what they are. The question is: how are we going to respond? Sometimes we need to be angry. Sometimes we need to wail in pain. But in the end we can’t escape the need to find peace. Many find that in silver linings. For most of us, life’s no bowl of cherries. 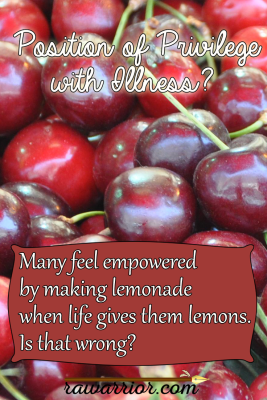 Many feel empowered by making lemonade when life gives them lemons. Is that wrong? Was Don Quixote in a position of privilege? Man of La Mancha is a story that had great impact on my life. Since I was a kid I recited the words to The Impossible Dream and played Richard Kiley version over and over. (And I listen to the CD now!) There was no social media, so there was there was no stranger to disparage me for being a sap. I had no idea I was a sap. I created this website with the same naiveté. I thought I’d just dig out facts and present them clearly to help others, conquer ignorance, and stir up enough momentum to make a difference. I had no idea it would become as big as it has. Yet, sometimes, I’m criticized on both sides, accused of being too upbeat and of being too pessimistic. Sometimes on the same day. You cannot please everyone, and honestly, you shouldn’t try. That has never been my goal. My goal has always been to inform and encourage. I have chosen to be true to myself as I write for this site that I built and pay for: I make a joke whenever I can, but I take patients seriously. I tell it like it is and try to make the world see how terrible RD can be, but I strive to lift people up. I take it back. 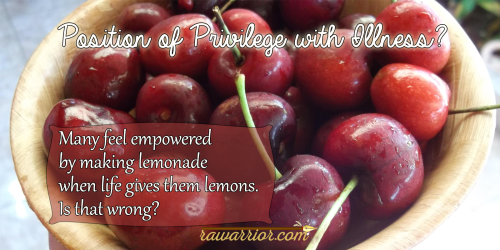 I am in a position of privilege. I am privileged to be blessed with a positive attitude and a caring heart toward others. Yes it gets me in trouble sometimes, but I’m privileged that God put his love in my heart. What about you? Do you usually try to look on the bright side even when things are terrible? Does it sometimes annoy others? I had no idea how bad your personal life had become. I am so sorry:( I have been following you for a couple of years with your stories of you and Roo. Please forgive me, as I blubber on, but I do know of your struggle with RD as I too was diagnosed just 10 years ago. It has changed my life in ways I had no idea it would. The pain and struggle with being a single parent raising my daughter was almost too much at times, but I was a “warrior” too. My disease started when I as a young teen, but was never diagnosed until my fifties. I had been diagnosed with Churg Strauss vasculitis, which caused a sudden onset of asthma for me. I was on steroids for 1 1/2 years and it made me an angry biatch! Two years later I got diagnosed with RD. My hands wouldn’t open wide enough to grasp anything and I couldn’t do my job. I had to file for SSDI and it took 3 long years for me to receive any bennefits. But without the support of my father, I would have lost my house in the 3 years I had to wait for the government to pay me, isn;t that why we pay in to Social Security when we are working? To help us when we can no longer work. And as far as my doctors go, my Rhemy is ok and my internist doesn’t understand the disease and all that it does to me. I think he believes I’m a hypochondriac! Well you take good care of yourself and God Bless you with your struggle. If you ever want to chat I’m on FB too. Thank you. I’ve been fighting this fight for 10 years now and I’m tired too. YOU are the first person I’ve connected with who has a clue to what it’s like to live, really try to live, with this disease. Over the past year I’ve had 5 biologic meds. #5 is helping at this time. It’s discouraging. It’s terrifying! Keep writing. Please keep fighting and if you want to complain or rant or scream…please do that too. You deserve it. Kelly, Well written! Yes, I write from a position of Priviledge. With my heart healing from a 14 hour surgery where the best surgeon for this particular surgery stripped my pericardium of 1/2 inch thick calcification and was killing me by way of Congestive Heart Failure. With the best doctors at the Mayo Clinic, I had a 35% chance of making it. I didn’t live near Minn. I took a flight in when my hometown cardiac Doctor fought with my insurance company to allow me to go there. He won, I won and I’m here today due to our fight. Yippeeee, I won a fight that now allowed me to higher a lawyer and step in front of a Fed Judge to plead my case of being disabled. I won, even when the judge told the job specialists, 2 of them sitting there hired by our government to tell me I could work, to be quiet, there were too many health records for any of them to make a decision. That was 15 years ago, I’m now Priviledged to help others, be positive because everyone has a fight in life to fight. My best friend who I’m Priviledged to call her my best friend is dying of Appendiceal Cancer. We sit together and talk, she understands me. I’m going to lose her , to live she can no longer eat and gets fed through an IV tube. She could have chosen to stop taking chemo and let the cancer kill her sooner but she wants to live, just a few more months maybe a year. I can handle the pain, the overwhelming intense pain every day, infections being creative RD popping up in the strangest places and still consider myself Priviledged to have RA Warrior site to read. RD does not define me, I teach and give it a definition everyday to people who don’t understand. I’m proud to sit in the electric cart at the food store, I’m proud when I get out of a car in the handicapped section of the parking lot. I hurt everyday as do so many others. My disease progresses. I’m Priviledged to be alive to travel with my 10 year old grandson. A long time ago I only knew one other person who had aggressive RA and she shot and killed herself due to the fear of the future and the pain of the present along with severe depression and loneliness. Today through social media we have The RA Warrior who I’m Priviledged to call my friend via the internet. I also point many people to her site. She might not please everyone but this site is researched, supported by professionals, and I see truth being spoken with every post. Jan RD patient 32 years. Kelly, Thanks to you and your site, I am in a position of priviledge. Your site has given me support in ways no one else can. 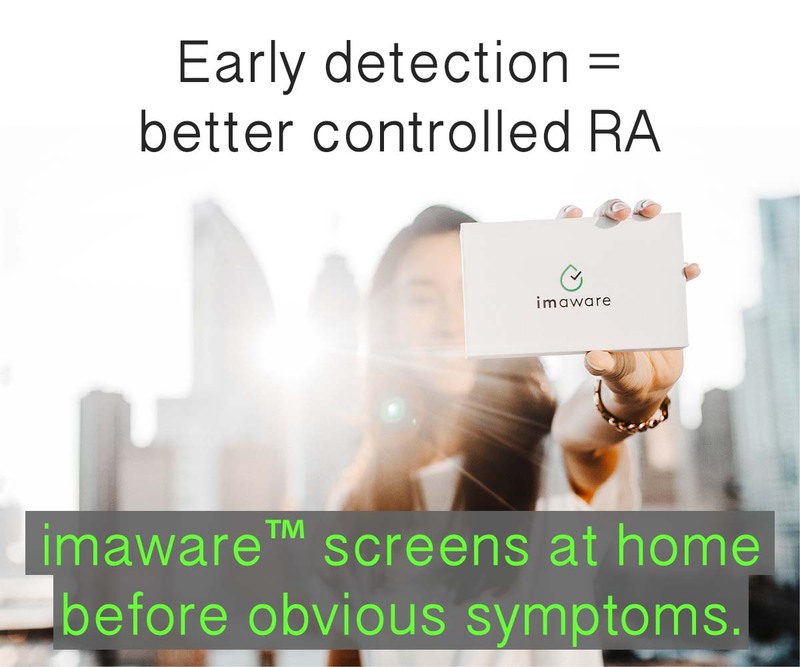 I have had RA for over 10 years, but until last year, it was mild and controlled very well. This past year has been terrible. Being able to walk to the bathroom on my own is a good day. I am a “Polyana” by nature, but some days it gets hard to see the light ahead. Your posts have provided me with a support that I dont have anywhere else…someone who truly understands. Thank you and please dont ever stop doing what you do. Mine has been the same for 10 yrs now – just now passing my anniversary – always a little worse than the month before. Does a lot to mess with your attitude – have to fight to stay on top of the circumstances. I hope you get back to a better place with the symptoms. Kelly, once again you have written down what is in my mind, but with so much more clarity. I too lost my job 10 years ago due to the RD. I was one of the lucky ones who got disabillity within 5 months. At the time I was married and we were doing ok as long as we cut back our spending. I also lost most of my friends who did not know how to be around the new me. Six years later my husband, the love of my life, killed himself. This was a shock and completelly unexpected. Grief is a very rocky road and being sick along with the grief has been close to impossible. I am about to lose my house. Living on social securtiy has been difficullt to say the least. I am incredibly lonely and feel so alone a lot of the time. I have now been diagnosed with Lupus. The fatigue along with the pain is almost more than I can bare. My privilege lies in my two grown chilldren and my four grandchildren. The unconditional love I receive from my grandchildren is my life line. (9,6,5,2) If not for them I do not think I woulld still be alive. My chilldren all work full time and have their sweet famillies to take care of. I know they will not let me live on the streets, yet I don’t want to intrude on their lives. I do have a couple of friends who have stuck with me, but I have been hesitant to share the hard truth with them. I wish you and Roo as quick a settlement as you can get in order to relieve the stress you are going through. I know it is going to be good for you because of the good you do for others. I would not ordinarily tout an author here, but I’ve struggled a lot with bitterness over the last nearly 19 years, in great part because it took almost 17 of those years to get an actual diagnosis of more than pain and muscle weakness, and more treatment than pain management. It makes me ashamed and angry at myself that I succumb sometimes. I experienced a flare at Thanksgiving and I should have stayed far away from family, because I was not thankful. I was not optimistic, I was in black depression, and I was not fit company for anyone, let alone loved ones who HAVE supported me. About a year ago, I found a little book on Amazon for 99¢ called 7 Facets: A Meditation on Pain by Lene Andersen. It is very short, only 26 or so pages on Kindle apps, and more poetry than prose. Except for one facet (chapter), I have experienced all of them, but the last, most powerful is the most elusive. The title is “Pain is Transformative.” Some days I can see that in my life. A burning away of the trivial to the point the world seems new, or I see it more clearly. But my metamorphosis is hazy and incomplete and I backslide. 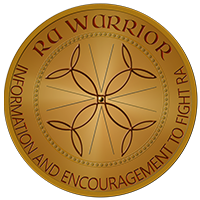 So I keep reading RA Warrior and going back to the 7 Facets because you both make me want to be a better person than I am when I’m in that level of pain or disability where I start bargaining body parts with higher powers or feeling like an animal willing to gnaw a limb off to escape the pain of a trap. Or the trap of pain. I don’t believe in any inherent nobility to suffering, but I do believe in people who suffer with grace of spirit. One day, maybe I’ll get where you two are, able to view the world from that prism of pain as transformation and be, if not glad at what it’s wrought in my life, than more constantly aware of the graces that I do experience and that can sustain me if I choose. It’s just so damn hard to let the rage go, because negatives can carry us too. Ha…I just saw The Force Awakens. The Datk Side is strong in me, Obi Wan! 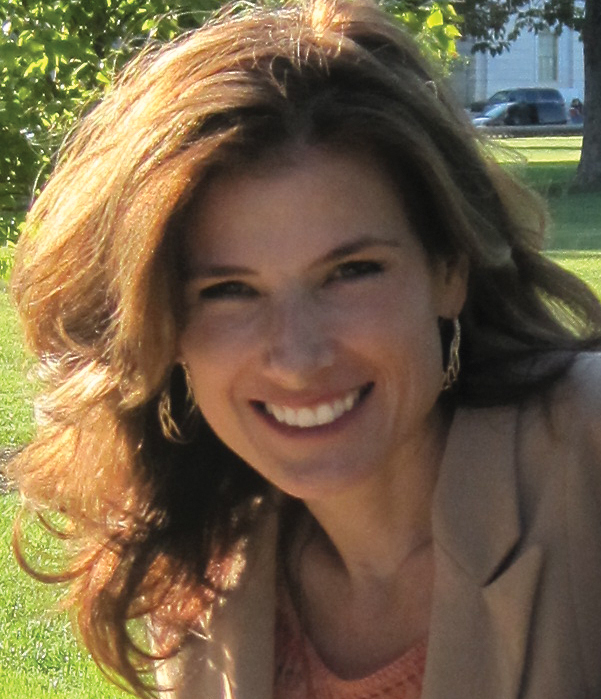 BLESS you KELLY…..there have been numerous times your blog has been the best support I got! My sons/family now are some better, but too often it is easier to just say nothing as to try to explain the why’s. I am BLESSED with some around me who do NOT get what this is..but do care that it has so affected me and my life…who TRY to understand. KEEP on fighting the good fight…what else is there?? I agree Linda, what else is there? Kelly, I am recently new to this site. Forgive my directness but are you no longer married? I thought you were the wife of a pastor? I feel terrible for you. Apologies!!! I just reviewed earlier blogs where your current situation has been explained. So very sorry. My thoughts and prayers are with you and your son. Wishing you peace.